There is an overwhelming body of scientific evidence that posits the origin of Earth at around 4.5 billion years ago. The earliest forms of life for which we have evidence are primitive prokaryotes (bacteria-like organisms), dating to around 3.5 billion years ago. Since then, life has evolved into the complexity that graces the planet today. 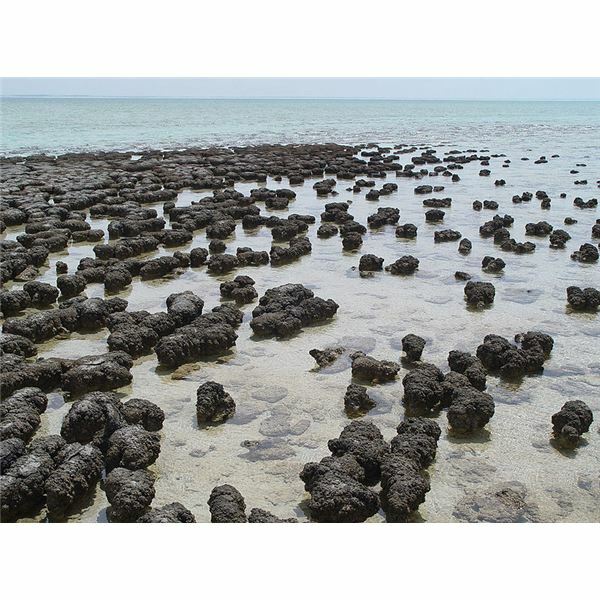 The most compelling evidence for this 3.5-billion year old life consists of stromatolites, ancient rock structures found today in Australia and South Africa, derived from the activity of microbes. These ancient stromatolites are extremely similar to modern stromatolites, and so scientists can deduce that the organisms that made the ancient structures were similar to the organisms that made the modern ones. While the theory of evolution elegantly describes the diversity of life that flourished once those primitive prokaryotes arose 3.5 billion years ago, it does not deal with the origin of life on earth, the study of which is termed abiogenesis by many researchers. So what happened in the 1 billion years between the formation of our planet and the first evidence for life? The answer is summed up in two words: prebiotic evolution. This is the idea that the basic building blocks and basic processes of life were being assembled according to chemical and physical laws. The result of this type of chemical “evolution” was the beginning of life as we would define it today. The evolution of organisms simpler than the first prokaryotes of which we have evidence is hard to trace, given the fact that there is no fossil record of these organisms. So if we can’t work our way backwards in time, from these simple prokaryotes to the first true cells and the first true life, how do we know how life originated? We will never be one hundred percent sure of how life originated. However, thanks to a dedicated group of scientists, we have some very plausible mechanisms for the origin of life, which are dependent simply on chemical and physical laws. 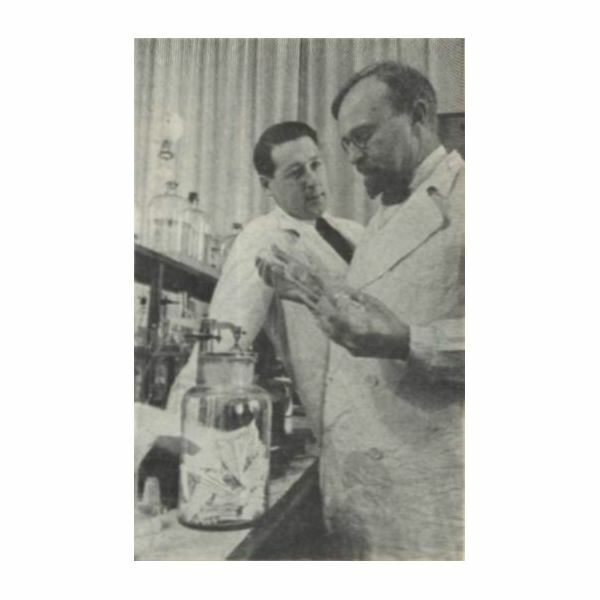 One of the first scientists to really try to imagine what was happening in the prebiotic world was Alexander Oparin. In the 1920s, he reasoned that organic molecules (molecules important for life) could have been created on an early earth with no oxygen in its atmosphere; indeed, oxygen is highly reactive and would have broken down any molecules that were created. Confirmation that Earth most likely did not have any oxygen in its atmosphere came from observations of the gaseous planets, like Saturn and Jupiter, which were composed of methane, ammonia and hydrogen; it was assumed that the composition of these planets was identical to the solar nebula from which our solar system was formed and so representative of the first atmospheres of all the planets. Through simple chemical reactions combining gases and using an energy source like UV radiation, organic molecules would be created. A primordial soup of molecules would be present on Earth, from which life would eventually spring forth. The idea of this primordial soup was echoed by JBS Haldane. Building on the ideas of Oparin and Haldane, other scientists, many associated with NASA, have undertaken the search for more specific mechanisms that could have led to life on the planet Earth. There are two main categories of hypotheses regarding prebiotic evolutionary processes, with many sub-hypotheses within each category, each with slightly different details. One category is the “genes first” model, while the other is the “metabolism first” model. In the next two articles of the series, we’ll look at these hypotheses in a bit more detail. This multiple part series will explore the theories on the origin of life on earth, what these theories could mean for the presence of extraterrestrial life and how astrobiologists are searching for life on other planets.